This beautiful bracelet is a delicate addition to the Love Bridge collection by Thomas Sabo. This feminine design is expertly crafted with 925 sterling silver for an understated style. Embracing the bar jewellery trend, this Thomas Sabo bracelet is a classic style that will never go out of trend. 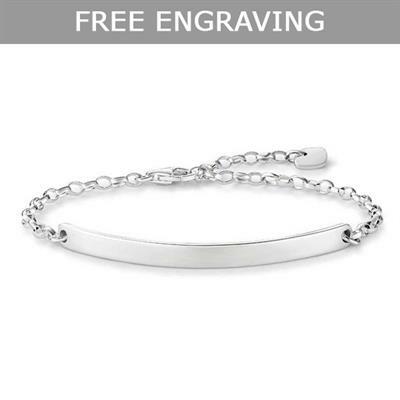 The bracelet comes in one size and can be fastened at any point along the length of the chain.